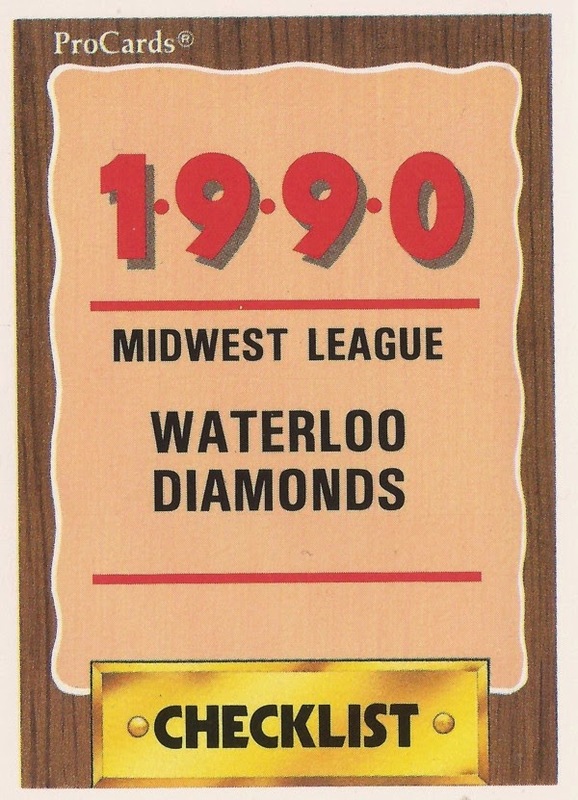 Features on each member of the 1990 Waterloo Diamonds, single-A affiliate of the San Diego Padres. Players featured are as included in that year's team set. Click on the player's name to read more. Rod Billingsley's job was to work with his pitcher. He worked it in two seasons. David Colon got lucky in 1988 at Sumter. He never got lucky enough to make AA. Greg Conley was a pitch caller in high school and later the pros. Tom Doyle learned the minors can test one's love of the game. His did not break. Todd Embry was on a pitch count at rookie ball and in his brief career. Bryce Florie was delighted to start, then to be on the field. Luis Galindez took part in a 25-inning game. His career was limited to four seasons. Gene Glynn coached in the bigs for a decade. He's manager at AAA in 2014. Jeff Hart worked with young Special Olympic athletes in 2009. He played three seasons as a pro. Ray Holbert was teed off. He then hit a grand slam for his first major league home run. Brad Hoyer showed poise in an early pro game. He never saw AA. Jose Lebron started a marathon game and had a quality start. He played seven seasons, but not in the bigs. Tony Lewis came back from college comebacker to the face to play in two pro seasons. Bryan Little showed speed and determination as a player. He's been teaching that to others since. Steve Martin went to Australia to polish his skills and was soon traded. He never made the majors. Butch McKeon had a competitive fire in five pro seasons. He passed away in 1998. Ron Morton delivered in 1988 short-season game with Spokane. He played in just three seasons. JD Noland once stole 81 bases in a season. He never got to the bigs. Ron Oglesby didn't make the bigs as player. He made the bigs as a coach. He also made his dad a happy man. 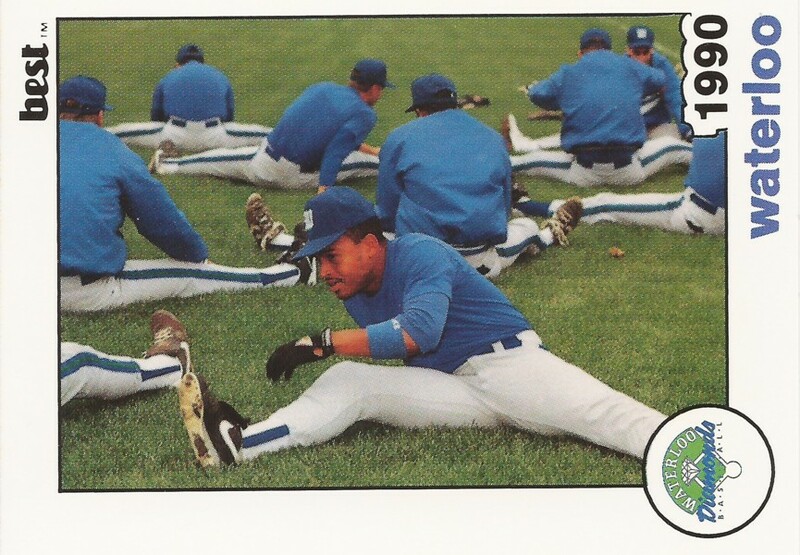 George Poulis continues as head trainer for the Toronto Blue Jays in 2016. Billy Reed picked up two hits in a high school game. He later played four pro seasons as pitcher. Terry Rupp went out and had fun. He played two pro seasons, later was a coach. Osvaldo Sanchez flashed his glove in the low minors. He never got to the bigs. Matt Toole helped his Spokane team to a lead in 1989. He played two seasons, but he never made AA. Mark Verstandig waited for his opportunity. He waited in five seasons, but he never made the bigs. Shawn Whalen went from a short playing career to a career as a scout. Matt Witkowski helped his team to the playoffs. He played eight seasons, but he never made bigs.